For the Love of Beauty in All Its Forms! You are here: Home / Health / A Fact About Staph! Staph infections are caused by staphylococcus bacteria, a type of germ commonly found on the skin or in the nose of even healthy individuals. Most of the time, these bacteria cause no problems or result in relatively minor skin infections. 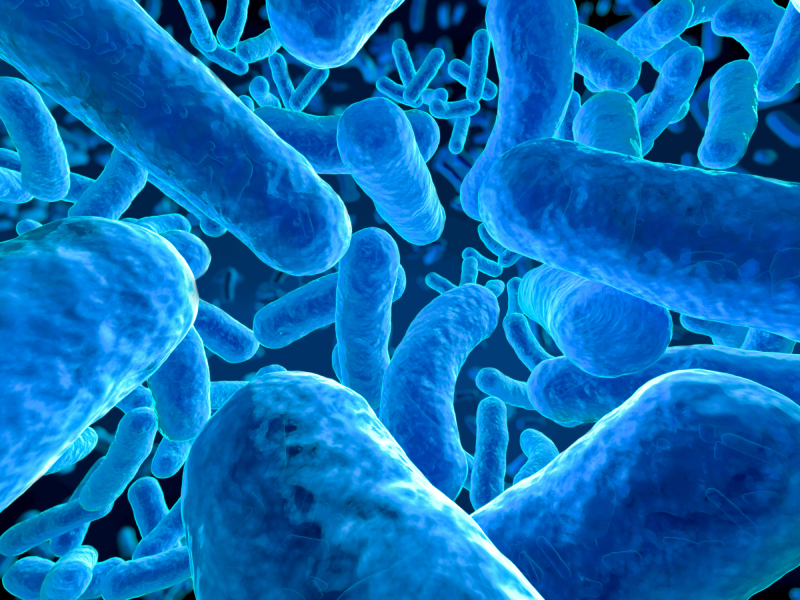 2 to 3 out of every 10 people are colonized with staph bacteria. Boils. The most common type of staph infection is the boil, a pocket of pus that develops in a hair follicle or oil gland. The skin over the infected area usually becomes red and swollen. If a boil breaks open, it may drain pus, blood or an amber-colored liquid. Boils occur most often under the arms or around the groin or buttocks. Impetigo. This contagious, often painful rash can occur in all ages, but it’s most common in young children and infants. The types of impetigo caused by staph bacteria usually feature large blisters that may ooze fluid and develop a honey-colored crust. These sores occur most commonly around the nose and mouth. Cellulitis. Cellulitis — an infection of the deeper layers of skin — causes skin redness and swelling on the surface of your skin. Sores (ulcers) or areas of oozing discharge may develop, too. Cellulitis occurs most often in the lower legs and feet of older persons. Staphylococcal scalded skin syndrome. Toxins produced as a result of a staph infection may lead to staphylococcal scalded skin syndrome. Affecting mostly newborns, this condition features fever, a rash and sometimes blisters. When the blisters break, the top layer of skin comes off — leaving a red, raw surface that looks like a burn. « Formite & Vector: How Diseases Are Transmitted! Note The Owner of This Site Is Not Compensated to Give Opinions or Given Products, Services, or Websites! My Beauty Must Haves For April! Great for mediation and relaxation! Great Anti-aging serum to stimulate collagen! Best Makeup Setting Spray to fight April showers! European Union Law Goes into Effect! The Cosmetics Directive provides the regulatory framework for the phasing out of animal testing for cosmetics purposes. It establishes a prohibition to test finished cosmetic products and cosmetic ingredients on animals (testing ban), and a prohibition to market in the European Union finished cosmetic products and ingredients included in cosmetic products which were tested on animals for cosmetics purposes (marketing ban). The same provisions are contained in the Cosmetics Regulation, which replaces the Cosmetics Directive as of 11 July 2013. The testing ban on finished cosmetic products applies since 11 September 2004; the testing ban on ingredients or combination of ingredients applies since 11 March 2009. The marketing ban applies since 11 March 2009 for all human health effects with the exception of repeated-dose toxicity, reproductive toxicity and toxicokinetics. For these specific health effects the marketing ban applies since 11 March 2013, irrespective of the availability of alternative non-animal tests. Breakouts under your breasts? Acne or is it something else? Fungus? Look Great Feel Great: The Food List! Hara Massage (Ampuku) : Japanese Belly (Internal Organ) Massage! Beauties of the Month: Adria Arjona, Florence Karumba, Karen Fukuhara, Kristen Gutoskie, Lotte Verbeek, and Sky Ferreira! Indigo: An Ancient Skincare Ingredient Given New Life! Xanthelasma: Fat or Cholesterol Deposits on Your Skin! Fat Bumps around Eye! Beauties of the Month: Antonia Thomas, Franscesca Annis, Jodelle Ferland, Deneen Melody, Aiysha Hart, and Michelle Borth! Beauty of the Month: Qi Shu! Essential Oil of the Month: Lemongrass! Sugar – Why sugar is bad for your skin! Favorite Products of the Month! While I've attempted to use credible sources for information, this is not intended to be a substitute for professional medical advice or treatment. The information and opinions expressed in this blog and any links and are not designed to constitute advice or recommendations as to any disease, ailment, or physical condition. You should not act or rely upon any information contained in this blog without seeking the advice of your personal physician. If you have any questions about the information or opinions please contact your doctor. Copy Right: © ctesthetic and CT Esthetic 02/2012-present. Use and/or duplication of this material without express and written permission from this blog’s author(s) and/or owner(s) is not allowed as well as excerpts and links, unless full and clear credit is given to ctesthetic and or CT Esthetic with appropriate and specific direction to the original content. The author(s)/owner(s) reserves the right to request the removal of the author(s)/owner(s) copyrighted information if it is used in a manner that the author(s)/owner(s) do not feel is appropriate or used in any other manner that does not meet with their approval. This work by https://ctesthetic.wordpress.com is licensed under a Creative Commons Attribution-NoDerivs 3.0 Unported License. Based on a work at ctesthetic.wordpress.com. Permissions beyond the scope of this license may be available at https://ctesthetic.wordpress.com. Disclosure: The owner of this blog is not compensated to provide opinion on products, services, websites and various other topics.